There’s a lot of chatter out there about solar energy, which means that there’s also a lot of misinformation and misunderstanding being perpetuated. Some people think that solar energy is just a fad, and others have become distracted by complications of the past, thinking that solar energy isn’t practical yet. However, the truth is that there’s a reason that solar energy is the fastest-growing sector of energy production, doubling in 2016, and continuing similar levels of expansion since. Au contraire mon frère. Even if you live in an area that doesn’t get as many sunny days as you’d like, your solar panels are absorbing quite a lot of energy from the sunlight. In fact, some of the best solar-producing cities are in regions that are well-known for not having a lot of sunlight, such as central Germany, or Seattle. This is because solar panels obtain energy both from direct sunlight and diffuse sunlight (meaning, the light that streams through the clouds on overcast days.) You can learn more about the benefits of solar energy, even in cloudy areas, by checking out one of our previous blog posts here. Of course, this isn’t as common of a concern in Utah, where even in the winter, we get a good proportion of really sunny, bright days. There are two ways to refute this idea. First of all: batteries. After all, we all know that while the sun is a wonderful source of energy, it leaves us on our own every night, and we can’t rely on sunny days every day. That’s why batteries are the bridge that makes solar so much better. Batteries can store up solar energy obtained during the day to be used at night (when you’re home more often and actually need lights and lamps.) In the past, storing solar energy via battery was impractical, inefficient, and difficult. However, solar batteries are getting more and more sophisticated, and it’s a gamechanger in the solar game. People who are newly installing solar systems are greatly encouraged to factor in battery space and accessibility. In the meantime, the solution for the inability to store solar power is that your solar panels are tied to the electrical grid. When you have an excess, it goes into the grid, to be used elsewhere. The power company credits you for that power, and then you use that credit when you need to purchase energy from them at night or on days when your home needs more energy than the solar panels are producing. 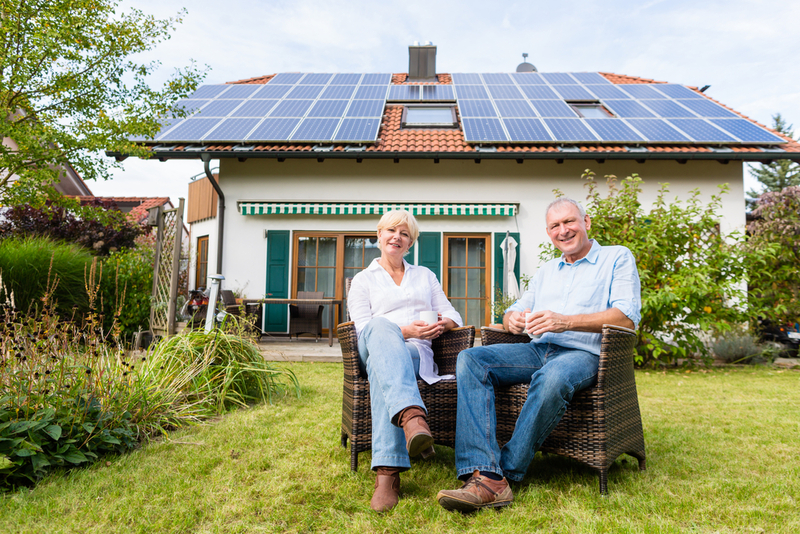 Come back at the end of the month for three more common solar myths.